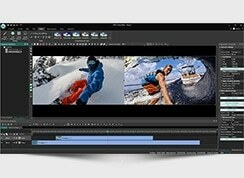 Flash-Integro Co. announces the new version of VSDC Video Editor, an easy to use tool to create and edit videos. 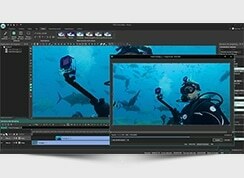 The latest release features more comfortable Wizard for quicker video editing and the brand new video capture capability. 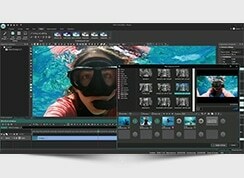 VSDC Video Editor embodies an idea of a simple yet functional video editing instrument for everyday use. Indeed, while providing smooth support for dozens of video codecs and direct burning of DVD and Blu-Ray disks it remains ultimately easy to use thanks to a step-by-step Wizard guiding a user through the entire process. 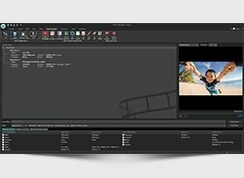 And the non-linear approach to video editing implemented in the program is unique across the industry. 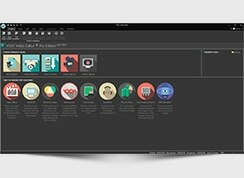 The latest version of the editor recently released by Flash-Integro puts its advantage to a new level. The Wizard, a core part of the program, is now even more comfortable, functional and friendly. 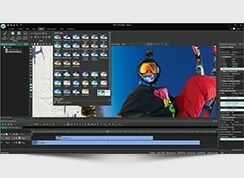 With it, doing all typical video editing jobs requires less time and still produces excellent results. In particular, the Wizard now allows splitting a movie file to parts, cutting out some fragments from it or removing black bands from the video directly in the wizard. Another important novelty of the new version is video capturing utility. It allows a user to record everything that happens inside a given application window or capture the whole desktop. Conveniently, the result of a capture can be easily inserted to the currently edited project. Finally, VSDC Video Editor now speaks Russian and German in addition to other languages, and the stability of the program has increased. With tons of filters and special effects, and one-click exporting to a number of video formats including DVD, iPhone/iPad, PlayStation, PSP, Xbox, iRiver and other, VSDC Video Editor successfully combines rich functionality and a steep learning curve.